We just closed out one of the best years in sneaker history, with Nike, Adidas and Under Armour all pushing the envelope. What innovations will they bring us in 2017? Looking back, 2016 will go down as one of the most notable years in sneaker history. While the statement seems a bit bold, we had the opportunity to see big brands make strong showings and foreshadow what is to come in the near future. Adidas continued its streak with great releases such as new Ultra Boost, Yeezy Boost from Kanye West and James Harden’s first signature sneaker. 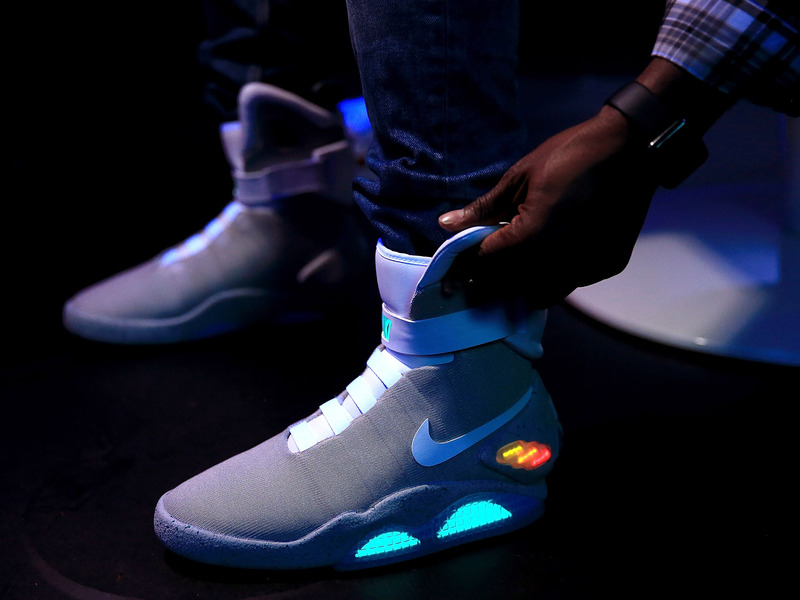 Nike literally went into the future and brought the Nike Mag back to life, while also introducing the Nike HyperAdapt 1.0 power lacing sneaker. Jordan Brand dug deeper than ever into its nostalgic history, releasing some of its most notable retro sneakers, such as the Air Jordan 1, Air Jordan III, and Space Jams. Jumpman also introduced the Air Jordan XXX1 to the world. Under Armour is still going strong as Stephen Curry’s third signature model made a drastic change in design. We've entered a brand new year, which means there is a lot more to build off what 2016 provided for us. Here are 10 things I want to see in sneakers in 2017. The Adidas and Kanye West partnership has been a major success so far. 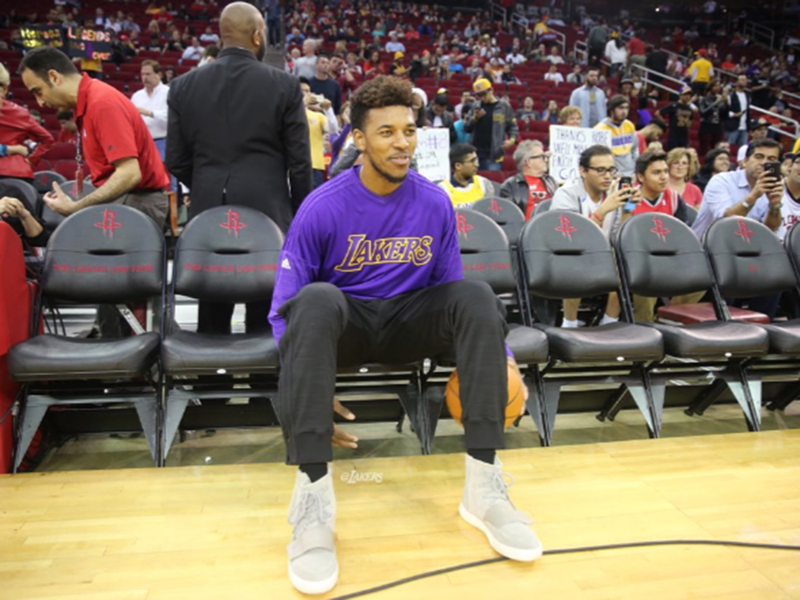 To open last year, L.A. Lakers guard Nick Young wore a pair of Adidas Yeezy Boost 750’s during a game to announce his Adidas deal. What happens if we actually get a Yeezy sneaker that was built for the court? Will players flock to wear them during games? Kanye’s reach is pretty spectacular, and a basketball silhouette with his name on it might open the floodgates for more young prospects to join the three-stripes roster. James Harden has already stated that he would be open to Kanye designing a sneaker for him in the future. Nike made headlines after releasing both the Nike Mag and the Nike HyperAdapt 1.0 last year. The HyperAdapt serves as the Swoosh’s first performance silhouette with the game-changing technology. I had the opportunity to play basketball in them and they weren’t bad to hoop in. Nike has big plans for using this tech, and I don’t think we are too far away from seeing these hit an NBA court. The '90s featured some one of the most influential years in sneakers, where we saw new stars not named Michael Jordan shine through their own shoes. This past year we celebrated the 20th anniversary of sneakers released in 1996. The long list included the Air Jordan XI “Space Jam” and Allen Iverson’s first signature sneaker, the Reebok Question 1. The next year, 1997, wasn’t too far behind, with Kobe Bryant’s first Adidas signature sneaker, the Nike Air Foamposite One (which will return Jan. 26th), the Air Jordan XII, Nike Air Pippen, Nike Air Bakin, and the Nike Air Max 97. Expect to see some pretty awesome 20th anniversary releases. With 14 signature sneakers under his belt with Nike, LeBron James has more than lived up to the potential expected when he signed a $90 million deal out of high school. The basketball sneaker market typically revolves around the King, but last year did not go all that well with the LeBron 13. The LeBron Solider X got more of a push from the brand and fans. With a deep vault of kicks, it is time for the Swoosh to bank on James’s popularity while it is at an all-time high and retro his older releases. 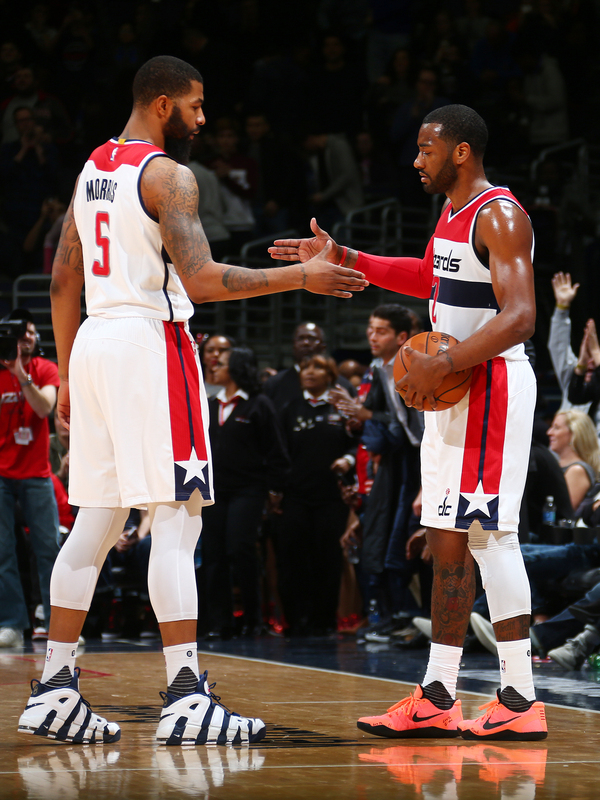 It doesn’t make sense that John Wall still hasn’t officially signed with a sneaker brand. While he has been wearing Nike after failing to reach an extension with Adidas, there haven't been many updates regarding his sneaker free agency. Under Armour is in need of more players alongside Stephen Curry and Wall seems like the logical choice. He is underrated and despite being a former No. 1 pick he still has that underdog characteristic that will blend in with the brand. UA needs to offer him a deal he can’t refuse and give him his own signature sneaker. As good as Stephen Curry is, he can’t do it alone. The Air Jordan XXX1 is one of the best “new generation” models of Air Jordan. The Jordan Brand got it right, celebrating the Air Jordan 1 with multiple releases in iconic classic colorways alongside the release of the Air Jordan XXX1. An interesting question going forward: Will Jordan continue to pay homage to retro sneakers in while the line continues to expand? The Air Jordan 2 did not have the same appeal when it was first released. It has since grown more of a fandom over time, thanks to retro releases and collaborations with designers such as Don C. It is going to be fun to see if the XXX2 builds upon the AJ2 and transforms into a major performance vehicle on the court. Reaching your 10th signature sneaker is a major accomplishment. Durant signed one of the most lucrative sneaker deals with Nike, even though his signature line has always felt underrated. 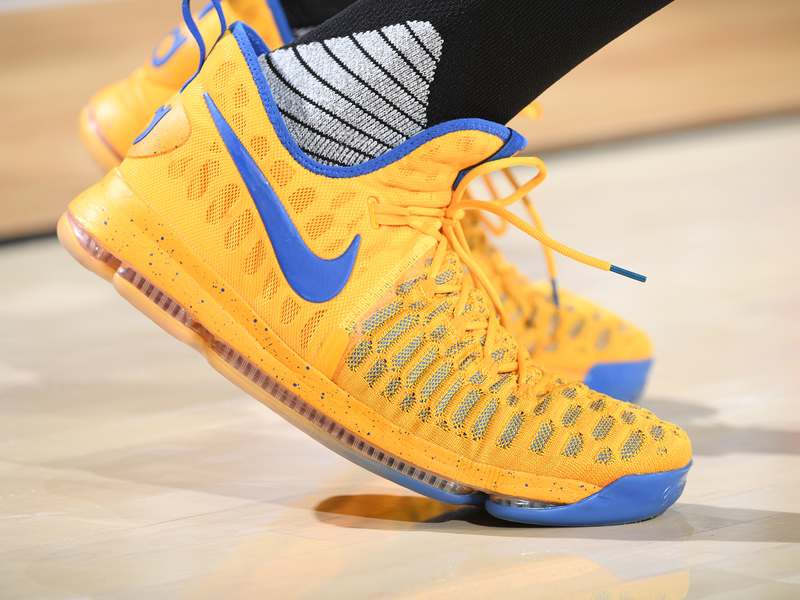 His sneakers have some pretty dope storylines, and they usually translate well off the court. It is going to be interesting to see how the Swoosh honors him for his 10th model with the brand. Expect to see the next model around the playoffs, when all eyes are on the Warriors. This is not to down talk sneaker collaborations, because they can be fun—just look at how Jordan utilized Drake with the Air Jordan X OVO collaboration. 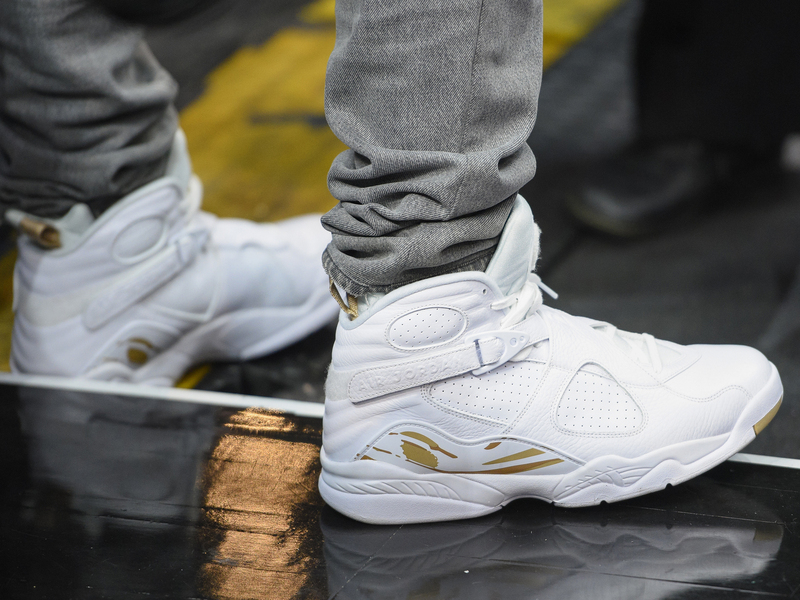 The brand designed something pretty cool, but OVO branded Air Jordan retros should be minimized. I just don’t want to see the market become oversaturated with sneakers and designers that don't bring much to the table. This past year things got interesting in the sneaker game. It was the first time in a long time that it felt that brands were catching up with Nike. In terms of basketball sales not quite but Adidas is showing how serious they are about building their basketball brand. James Harden’s first signature model, the Harden Vol. 1 has got some great reviews. Adidas also went all in with the 2016 NBA draft class and signed multiple lottery players. The 2017 NBA draft is going to be strong with elite guard and wing prospects such as Markelle Fultz, Lonzo Ball, Dennis Smith, Jayson Tatum and Josh Jackson. If Adidas can make another major push in signings, things will get very interesting over time. This world of sneakers is more fun when everyone is at the top of their game. As the competition between Nike, Adidas, and UA heats up, we are guaranteed to see better sneakers, better tech and more commitment to designs.